That's Nuts! Or Is It? Today were going to talk about almond oil uses, and the many amazing health benefits of almonds in general. In a world where every company claims to have created the “next best thing,” sticking to the basics is generally the best way to go! There are two types of almond oil: sweet and bitter. 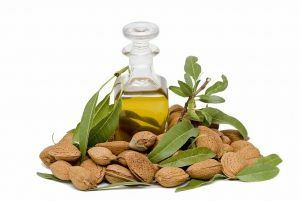 Sweet almond oil is used as a “carrier” to form the bases of cosmetic and massage products. The bitter variety is a beautifully fragrant, but fatally poisonous, essential oil. 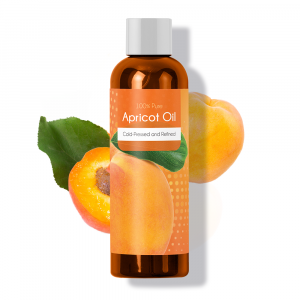 Sweet almond oil is a medium-light oil which absorbs readily into skin and acts as a lubricant and emollient. 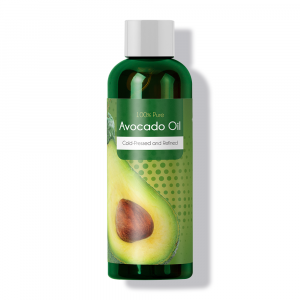 This makes it ideal for soothing dry skin. Sweet almond oil benefits are too many for this article alone. 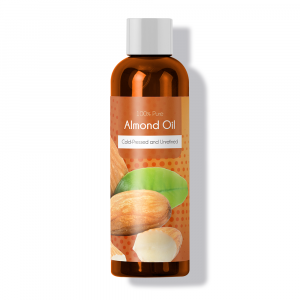 Almond oil for skin, soothes and smooths dryness on the surface and works overtime as a fantastic moisturizer after absorption. 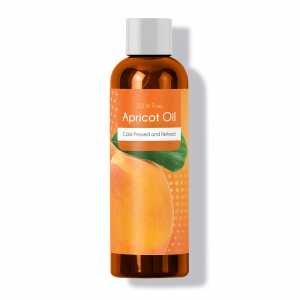 When applied to a dry scalp, sweet almond oil for hair seems to dissolve dandruff while making hair softer and more luscious. 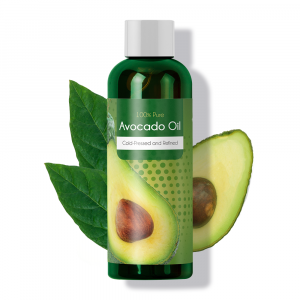 It is so packed with vitamins, that it can even rejuvenate the delicate skin around the eyes. 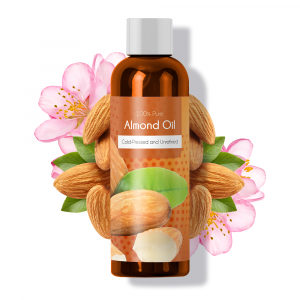 The benefits of almond oil are many, leading it to widespread use in hair, skin, and facial care. Almond oil is impressive and almonds are truly remarkable – but how much do you know about them? That’s Nuts! Or Is It? Almond trees produce a category of fruit known as “drupes” or stoned fruits. The fruit’s flesh (really just a thick leathery skin) and internal furry shell, are inedible to humans who just eat the seed. The rest of the fruit isn’t wasted though: the shells can be used as bio-fuel and the skins are turned into cattle feed. Almond trees are “self-incompatible” – they cannot pollinate themselves. A few varieties of almond tree are planted in each orchard, and bees move the pollen between them. There is currently an all-time-low bee population. If bee numbers continue to crash, then there could be serious repercussions in industries that rely on them, such as almond-growing. Half a cup of raw almonds provides your entire Recommended Daily Amount of Vitamin E – a powerful fat-soluble antioxidant that protects cells in the body from the damage caused by free radicals. They’re also an excellent source of calcium, magnesium, potassium, and zinc. Almonds health benefits are great for those on restricted diets. One cup of raw almonds provides more than 30 grams of protein – that’s about the same as the equivalent weight of steak, which is great news for vegetarians! However, almonds definitely come out on top – studies have proven them to be effective in promoting gastrointestinal health and even preventing some of the cancers that consumption of red meat can trigger. Despite originating somewhere between the Middle and Far East, today, about 80% of the world’s almonds are grown in California where they thrive under the hot West Coast sun. Even the harvesting process relies on the heat: during the harvest they are shaken down from their trees and left on the ground to dry out. California almonds are exported to 90 different countries around the world. 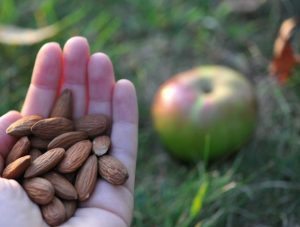 A handful of almonds can go a long way towards a healthier you. Even ancient civilizations understood the amazing benefits of almonds. The Romans showered newlyweds with almonds as a charm for fertility. Sound crazy? Modern studies have revealed almonds to be a rich source of Vitamin E – deficiency symptoms include low libido and infertility. There’s no other way to say it: almonds are amazing! 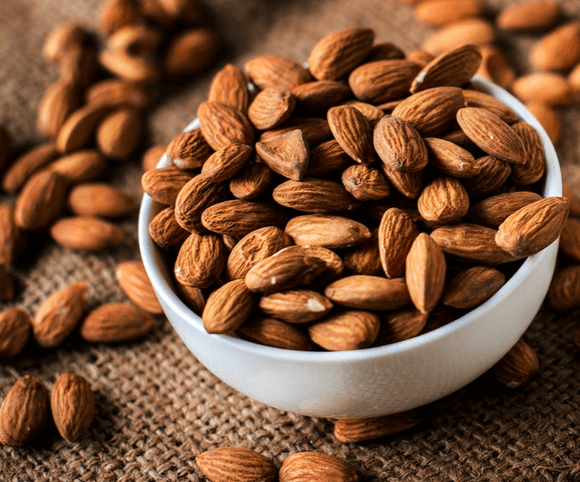 Regularly eating a handful of these goodness-packed nuts can do wonderful things for your internal health so it’s no wonder that almond oil is such a popular ingredient for enhancing your external beauty too. There are many amazing health benefits of almonds, what do you use almonds for?